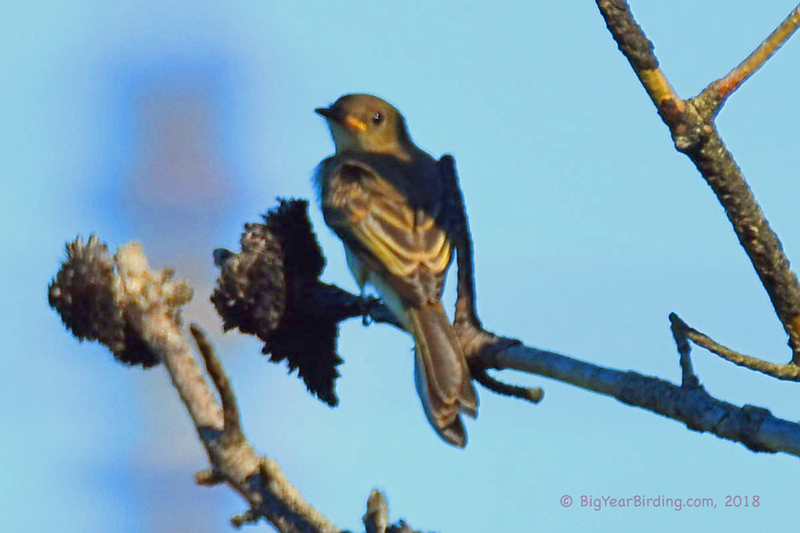 The eastern wood pewee is 5.5 inches in length and weighs around half an ounce. The sexes are alike. The adult is gray-olive on the upperparts with light underparts, washed with olive on the breast. Each wing has two pale wing bars, and the primary remiges are long, giving the wingtip a slim and very pointed appearance. The upper part of the bill is dark, the lower part is yellowish. The songs are basically a mournful whistled pee-a’wee given in a series, which gave this bird its name, and a “pe-wee” with a rising note at the end.